The Istituto Motori of the National Research Council of Italy, since its foundation in 1940, carries out research in the fields of energy conversion, transport and environmental protection, energy systems for transportation, energy systems for power plants, combustion and spark ignition engines, innovative fuels and advanced components for engines. The mission of Istituto Motori is the deepening of the knowledge of the main physical and chemical processes involved in the operation of energy systems, the pre and post graduate training of young researchers and the spread of the research results. 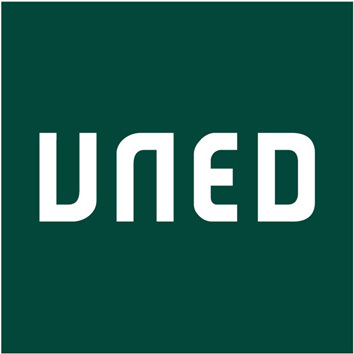 UNED is a Spanish public University founded in 1972, teaching courses at distance for students all over the world. UNED has over 260.000 students enrolled in 2012--2013 year. It is the largest university in Spain, offering several official degrees (27 EEES degrees, 49 master’s degrees, 44 doctoral programs) and more than 600 continuing education courses. UNED works intensively to update and improve its distance learning methodology through a pervasive use of ICTs, which is reflected on its educational services (CiberUNED, educational TV and Radio, UNED--mobile, etc.). The FHM is a private, non-profit and state-approved University of Applied Sciences. The FHM has been founded in 2000 by mediumsized enterprises and educational institutions. Since then it has developed into one of the most successful private universities in Germany. At present, there are more than 4.100 students studying at the FHM. As University of Applied Sciences, which is explicitly dedicated to the issues all around the Small and Medium enterprises, the FHM is engaged in various projects and programs aiming at identifying benefits for SMEs, caused by current social and economic developments. MAG s.r.l. is a spin-off of the International Telematic University UNINETTUNO. It aims to enhance the scientific research and technological development activities carried out by the University. Its main activites are the design, implementation and delivery of vocational training courses at distance, the technological transfer and the consultancy. Main areas of activity are the new ICT technologies and the digital competences, the teachers training and the Third Sector. MAG activities have also created experience, multidisciplinary expertise and skills related to the design, development, testing and management of services in the audiovisual field on the web. CEDEL is one of the ELIS entities and in particular is concerned with training. CEDEL promotes, supervises and advances educational and recreational initiatives concurring to the cultural advancement, the professional training of young people, the vocational updating, qualification and re-qualification of workers, as well as the improvement of their professional and social education. In 1992 it has founded a Consortium of national and international companies (www.elis.org/consel) to provide educational and training services for the members of the consortium and third-party entities. Kaunas Science and Technology Park is the largest partner of science and business cooperation in this Baltic country. More than 200 companies have been incubated here with a success rate exceeding 90%. Today, Kaunas STP integrate more than 70 companies from IT sector, high tech sector, consultancies, advertisement & publishing companies and associated members. More than 90% employees of Kaunas Science and Technology Park companies are graduates, students or current academic staff of Kaunas University of Technology. EVM is a Spanish consultancy company offering services in different ares: Engineering and Innovation, Infrastructure and Space, Funding and Co-investment, Training. EVM has designed many training programs targeted at entrepreneurs and NGOs, which reflect its special way of understanding the process improvement of both traditional companies willing to innovate, and new companiess adventuring into the fields of entrepreneurship. EVM is organized as a factory of ideas shaped by an interdisciplinary team of its own, a network of collaborators and a well-defined framework. Madan Parque is a science and technology park established in 1995, whose mission is to play an interface role between academia and businesses, by means of promoting the creation and growth of new technology-based firms and knowledge intensive projects within the region. Madan Parque runs also a technology-based incubator offering a high range of value-added services. Currently Madan Parque included 52 companies, 70% of them belongs to the ICT cluster. The main goal is to stimulate the creation of New Technology-Based Firms who benefit from the physical proximity to "FCT-UNL" ("Faculty of Sciences and Technology | NOVA University of Lisbon"), which is one of the shareholders. The Institute of Entrepreneurship Development (iED) is a Greek NGO committed to the promotion of innovation and the enhancing of the spirit of entrepreneurship. By recognizing entrepreneurship as a crucial factor for the development and cohesion of societies, we develop research and are in a position to provide innovative solutions that facilitate the growth of healthy entrepreneurship and promote employment. In its ten year long activation, it has participated among others in the planning, implementation and evaluation of more than 100 National and European projects.